Gialova Gardens is situated directly in the middle of the Navarino Bay almost directly at one of the finest sandy beaches in Greece. Here are some of the other beaches you’ll find nearby. Gialova beach is great for families with young kids. The bay keeps the big Ionian waves out. And at most places, the water is quite shallow. Parents can enjoy a meal or a drink while being just a few steps away from their kids on the beach. You can find some nice and simple family hotels here. There are also a few campings nearby. The beach is 200m from our accommodation. 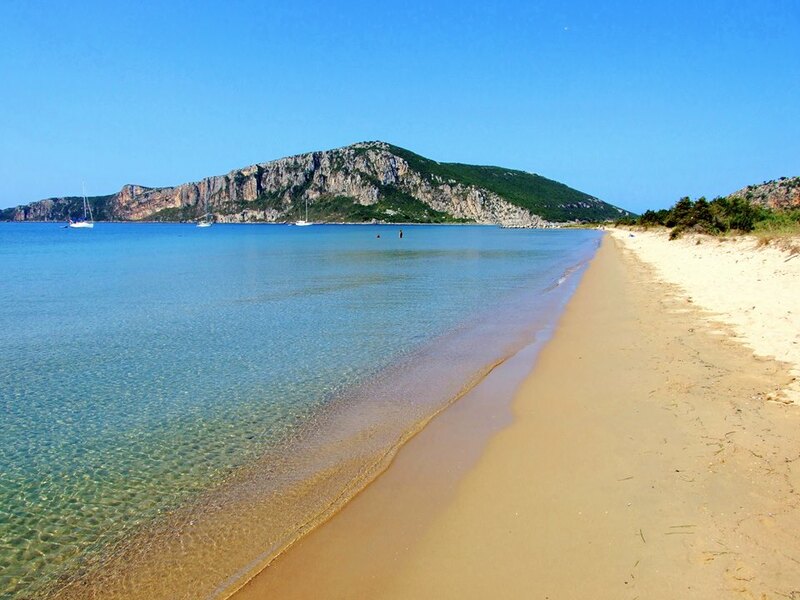 North of Pylos, pass through Gialova and turn left at the sign for Golden Beach (also known as Divar Beach). A vast sweep of fine gold sand with tress for shade. Lots of little car parking areas, quite a few taken up with motorhomes. As the beach is so extensive there there is room for all. The water is incredibly shallow and calm, safe for young children. 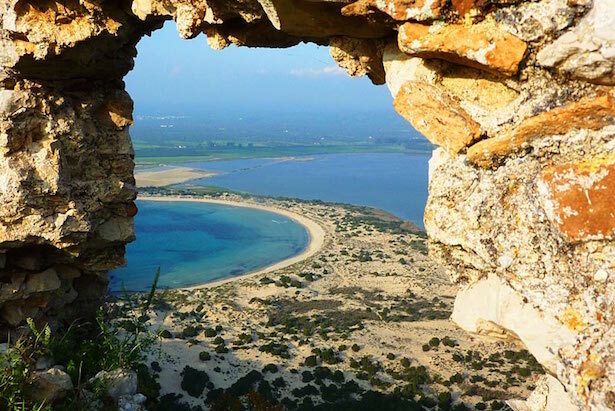 Sphacteria is a small island located at the entrance to the bay of Pylos (Navarino Bay). In ancient times it was the site of the Battle of Sphacteria in the Peloponnesian war. 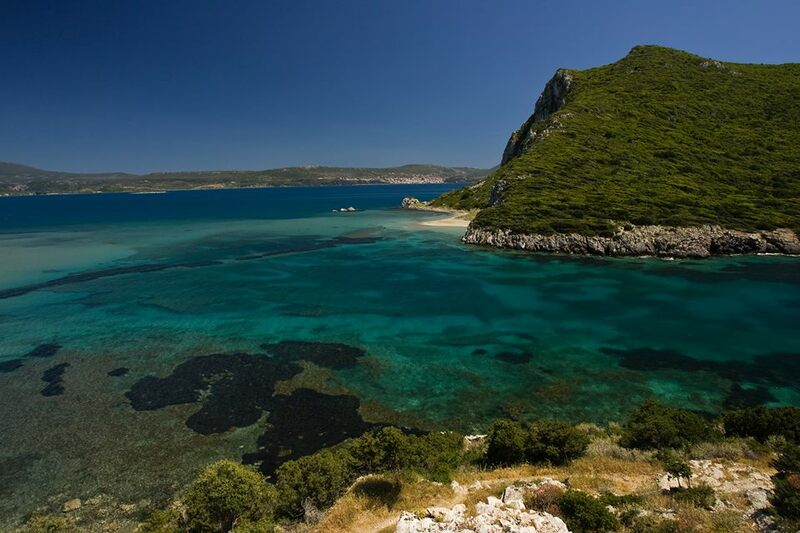 While exploring Messinia, do not miss Glossa beach offering crystal clear turquoise waters. Easy reachable by car or bike (4 km from our location). The most popular part of the beach is where there is a weekend and high season cantina on the beach. Behind the beach is the Divari Lagoon, a paradise for bird watchers and nature lovers. Passing Romanos village you will find the beach, with fine sand and shady spots, frequented destination for many families who live nearby. Locals call it also Glyfadaki. It is a long beach with views to the Ionian Sea and fine sand. In fact, they are many small beaches, one next to another. 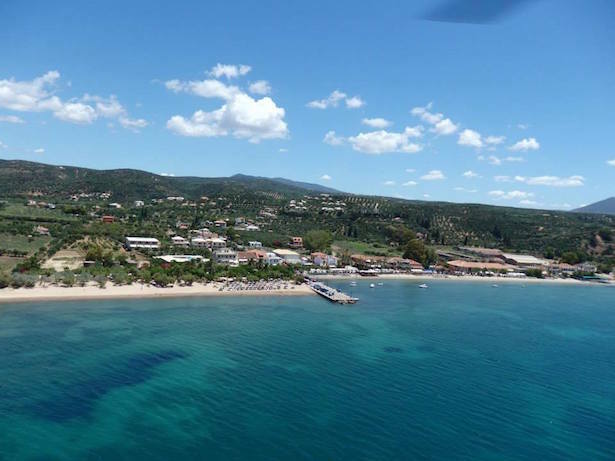 The first part of Romanos beach is organized with sun beds, parasols, beach cafes and bars, while above is a restaurant for those who would go hungry. The rest part of the beach is intact and more peaceful and is mostly preferred by families and those seeking tranquility. 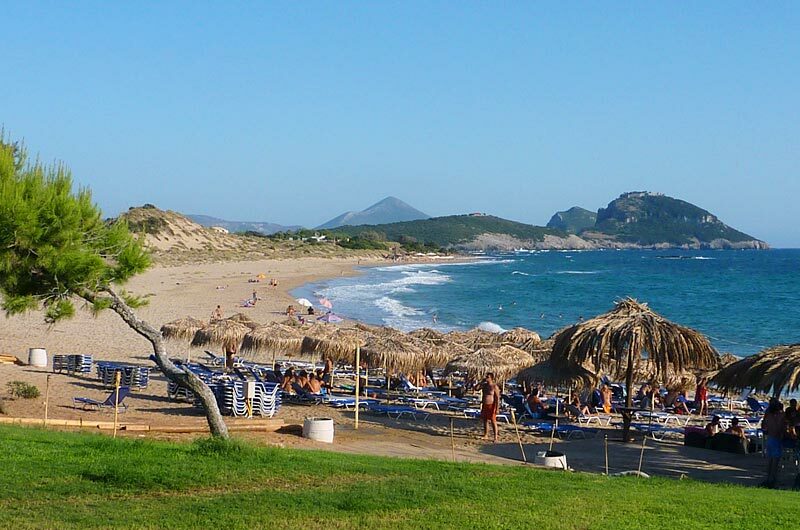 Voidokilia Beach is a popular beach in Messinia in the Mediterranean area. In the shape of the Greek letter omega (Ω), its sand forms a semicircular strip of dunes. The land facing side of the strip of dunes is Gialova Lagoon an important bird habitat. The beach has been named “A Place of Particular Natural Beauty” and is part of a Natura 2000 protected area. The beaches was voted one of the top ten beaches in the world by the New York Times in 2010. Above the beach is Nestor’s Cave and above this are the ruins of thirteenth-century Frankish castle (Old Navarino or Palaiokastro). The beach is presumed to be Homer’s “sandy Pylos” where Telemachus was welcomed by King Nestor when searching for his father, Odysseus. According to myth, Nestor’s Cave is where Hermes hid the cattle stolen from Apollo.